If you are totally new to Young Living Essential Oils, you will definitely want to stop by my page, Intro. to Young Living , to learn more! How Can You Order From Young Living? The best way to place an order is to sign up as a wholesale member. You are probably thinking… oh no… I’m not signing up for anything! Let me explain. A wholesale member receives a 24 percent discount off retail price, and you have no obligations other than to make an order of 50 PV once in the calendar year. If you don’t place the order, your member status just goes inactive. That’s all! But if you love the products as much as I do, I’m sure you will find something to order during the calendar year! Not only does Young Living have pure therapeutic grade oils, but they also have so many other terrific products. Young Living is an honest company, and I have had no problems when ordering! No fine print! 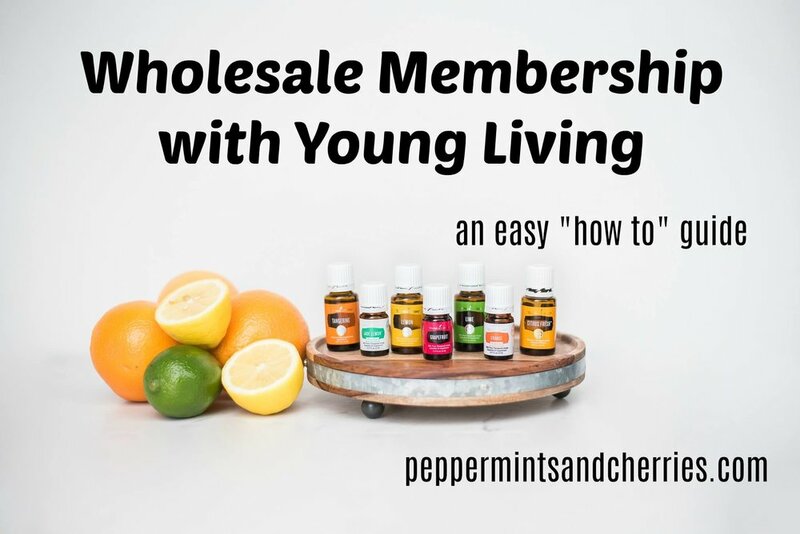 How Do You Sign Up As A Young Living Wholesale Member? In order to sign up as a Young Living wholesale member, you need to purchase a Premium Starter Kit. Once you are a wholesale member, you will receive a member number and 24 percent off retail prices for future orders. There is zero obligation to sell the products as a wholesale member. However, if you decide at a later date that you would like to share the products with friends and family, you can still have the opportunity to earn commissions when others join. So, as a wholesale member, you can use the products yourself…the end. Or, you can share them with others and earn commissions if they join. Click here to view Compensation Plan. Would You Like To Sign Up As A Young Living Wholesale Member? Watch the Enrollment Video Here! Click here to begin your journey to wholesale membership! Make sure Wholesale Member is selected, not retail. You will not receive the 24 percent discount if you do not select wholesale member, and once again, you are NOT agreeing to sell anything! You will see my member number (3788056) in the Sponsor and Enroller locations. Complete your contact information, including your email address. Your email address will enable me to contact you to include you in educational oil groups. For Step 1, choose the Premium Starter Kit that you would like either from the Popular Premium Kits tab or the Other Premium Kits tab. You can skip Step 2 (It is optional.) unless you would like to participate in the monthly auto ship Essential Rewards Program. This program offers reduced shipping, credit for free products, and monthly promotions. Continue following the steps until complete and then happily wait for your order to arrive! If you have any questions concerning signing up as a wholesale member, please contact me here! To read My Journey to Essential Oils, Click Here. Disclaimer: Research essential oil usage. The information on this site represents what I, an Independent Distributor of Young Living Essential Oils, have chosen to do personally. Statements on this website have not been evaluated by the Food and Drug Administration. The information on this site is not meant to alleviate, diagnose, treat, cure, or prevent any disease, symptom, or injury. If you are pregnant, nursing a baby, taking medication, or have a medical condition, consult your physician before using essential oil products.